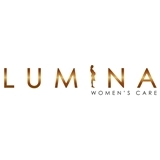 Lumina Women's Care LLC (Wayne) - Book Appointment Online! I love Dr. Pavel. She has such a great bedside manner. Her staff is also great. She addresses all my needs, and never rushes my appointment. Excellent Dr.